Masr El Kheir Foundation recently awarded a tender to Orascom Training & Technology (OTT), a subsidiary of Summit Holding, as the Foundation seeks to enhance and expand its support to the specialized nursing programs of local health units in some governorates in Egypt. OTT will provide several training programs to nurses in Greater Cairo, Assiut and Aswan. 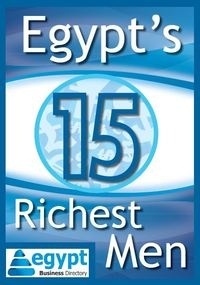 “At OTT, we believe that access to medical care and education are basic human rights to the Egyptian citizens. We are honoured to work with Masr El Kheir -bearing in mind it's outstanding role- in the nurses training program, which will allow us to work towards our mission to provide high-quality training in various aspects to Egyptians across Egypt, while helping Masr El Kheir work towards their developmental objectives of providing medical care to low income Egyptians,” said Engineer Amr Abu Ward, OTT’s Managing Director. OTT will develop tailor-made training programs for the nurses in each of the two governorates focusing on standard computer skills and English language proficiency. The duration of each program will be approximately 45 days. OTT builds up a diverse array of ICT and management education consultation, in addition to the development of individual skills while combining their deep understanding to local market needs with access to the world’s best training techniques and practices. All training sessions are completely customized to include value-added education services such as workshops, special education tools as well as soft skills and management training. Since 2007, Masr El Khier has been working to provide quality health care for underprivileged Egyptians as one of the core components of its sustainable development initiative. The organization works with other local groups to improve health accessibility via medical caravans and healthcare quality by focusing on skills development and know-how of medical professionals in order to optimize performance which accordingly will improve health service delivery.